Jamestown (NDFU) – In June, North Dakota Farmers Union (NDFU) will celebrate the 85th season of its summer camping program, which draws more than 1,000 farm and city kids from around the state annually. To highlight the milestone, NDFU is offering fee discounts to any youth who registers for Farmers Union Camp between now and May 15. 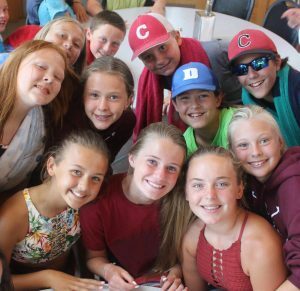 Other activities include water games, theme nights, sports, skits, a co-op store, talent show, banquet night, climbing wall and educational project. Camps are divided into junior and senior divisions for grades 3-6 and 7-12. Free bus transportation is provided to camp sites near Elgin and Valley City. Go to ndfu.org to learn more. Scholarships are available for kids needing financial assistance.